The robot vacuum cleaners market has developed rapidly in recent years. In addition to the emergence of more new brands, the planned sweeping has become mainstream. The robot cleaners with both sweeping and dragging capabilities are also common. The new models come with remote control and there are fewer cleaners with physical control on the body. So the overall experience is getting improved a lot. However, there is still a huge gap between various products. Even being priced identically, many robot vacuum cleaners provide a quite different cleaning performance. We have chosen five quite popular Chinese sweeping robots and made a detailed comparison in order to find out which of them is the best. After the Mijia sweeping robot became popular, Stone Technology launched its own brand model, namely the Roborock Sweep One. Many think its main improvement refers to the sweeping and dragging functions, but in fact, it has a lot of enhancements in comparison to its predecessor. Though it was launched back in 2017, the Xiaomi’s second-gen cleaner is still quite competitive. In 2018, the manufacturer added a few customized versions such as the pink, Inter Milan, and black variants. But all these models differ in color and some design elements only. The rest remains unchanged. 360 entered the robot vacuum cleaners market in 2017. 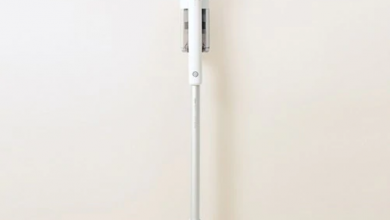 When it happened, the most popular model among the Chinese brands was the first generation of the Mijia sweeping robot. But when the 360 S5 was out in 2018, it was priced by 300 yuan less, while coming with the same features. However, there were some changes such as a reduced capacity of the battery, the bilateral brush changed to a single-sided brush, and a suction power increased from 1800Pa to 2000Pa. It can be said that this is the cheapest laser navigation model on the market. Compared with the models launched in previous years, the LDS M6 launched by Pusangnik in 2018 has greatly improved in appearance and function. The core changes mainly refer to the laser navigation technology, which realizes wireless + laser cruise dual-positioning, and it’s coupled with its own iPNAS cleaning system 2.0. Thus, it has obvious technical advantages and is also a model worthy of attention. Cobos is a well-known brand in the robot vacuum cleaners market. It has many models. This time we chose the 2018 flagship model, DN33. In addition to the second-generation LDS navigation technology, it is also equipped the next-generation global planning system Smart Navi2.0 as well as the Blue Whale Cleaning System 2.0. Also, the price of 2099 yuan ($309) is very attractive. In fact, Neato is the earliest brand of laser navigation sweeping robots. It has a good reputation with strong product strength, but the market performance is not ideal. In 2018, Neato began to work in the Chinese market and launched a model priced at 3,000 yuan ($441), namely the D3s. 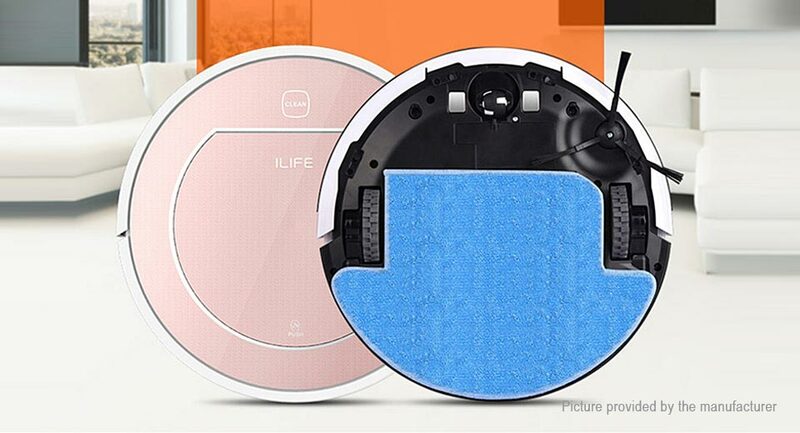 As you understand, we are going to compare five robot vacuum cleaners that come with path planning function, which works through the laser navigation. Nowadays, more and more robot vacuum cleaners tend to be simple in design, without too many complicated button settings. The overall appearance is enhanced by the flexible use of different processes. However, the quality of the design varies from person to person. So we won’t tell which of them looks more attractive. Instead, we are more interested in the details such as the difficulty of cleaning the dust box, the ease of disassembly or installation of the water tank, etc. The height of the fuselage affects whether the robot vacuum cleaner can enter the bottom of the bed, the bottom of the TV cabinet, and other areas. The heights of these five sweeping robots are all around 10cm. According to the actual measurement results, the rankings from low to high are the Pusangnik LDS M6, Roborock Sweep One, Neato D3s, Cobos DN33, and 360 S5. Though the official page of the latter shows a height of 10cm, the actual measurement showed 10.8cm. The protruding laser head can be easily damaged or malfunction after being caught by the furniture. In terms of the design of the laser head protective case, the Neato D3s looks more solid, while the design of the Roborock S50, 360 S5, and Pusangnik LDS M6 are similar. A for the Cobos DN33, the laser head protective case is slightly shaken and does not feel very strong. The five sweeping robots all adopt the method of removing the dust box from the top. The Pusangnik LDS M6 needs to remove the entire upper cover to take out the dust box, which is slightly inconvenient, but the upper cover is fixed by magnetic means and can be installed and disassembled easily. In addition, the dust box is fixed in different ways. The Roborock Sweep One and 360 S5 can be opened by pinching. The Pusangnik LDS M6 and Cobos DN33 are fixed by the handle of the rotating dust box, and they yield the former two models in terms of convenience. The Neato D3s does not need to be opened when removing the dust box, making it the most convenient to use. The difference in dust box capacity is still relatively large – from big to small: Neato D3s (700mL), Pusangnik LDS M6 (600mL), 360 S5 (550mL), Roborock S50 (480mL), Cobos DN33 (450mL). However, it should be noted that even if the capacity is relatively small, all models provide a single cleaning with no problem. The advantage of the large-capacity dust box is mainly to reduce the number of times the dust box is dumped. Although it is relatively simple to take out the dust box, when cleaning the garbage in the dust box, it may cause some difficulties. From easy to difficult, the models stand in the following sequence – Neato D3s, Roborock S50, Cobos DN33, Pusangnik LDS M6, and 360 S5. Among which, although the dust capacity of the 360 S5 is larger, it is a bit tricky when opening the box. It takes a little effort to open it, and the experience is not ideal. The Roborock S50, 360 S5, Neato D3s, and Pusangnik LDS M6 are all single-sided brush designs, only the Cobos DN33 provides two side brushes. So which of them is better – the unilateral brush or the bilateral brush? In fact, each has its own advantages and disadvantages. For example, a single-sided brush can reduce the situation in which the garbage is being blown, and it is easier to get out of trouble when encountering the entanglement situation. Thanks to the unique D-design, the Neato D3s have a roller brush length of 27.6cm, which can clean more rubbish at a time. The other four models are all designed with a roller brush. But the Roborock Sweep One and 360S5 come with a floating roller brush. The latter can float up and down according to the ground conditions. It is also more advantageous when cleaning the dust in the groove gap. Both the Cobos DN33 and the Pusangnik LDS M6 are designed with a fixed roller brush. All models support mopping feature. The water tank of the Cobos DN33 is integrated with the fuselage, which makes it relatively larger in capacity, and can be installed directly on the mop pendant after use, without turning the machine when using it. The Roborock Sweep one and the Pusangnik LDS M6 only need to be aligned after the water tank is installed. As for the charging base, the bases of the 360 S5 and Neato D3s are relatively large, and they are slightly awkward on the ground. In order to make the extra cables look less messy, the 360 S5, Cobos DN33, and Neato D3s use a concealed cable management. Thus, they have paid more attention to details, which is commendable. For all robot cleaners, the side brush, HEPA filter, mop, and other accessories need to be replaced after a period of use. Among these machines, only the Cobos DN33 is equipped with a complete set of consumables. In addition, the HEPA filters of the Roborock S50 and 360 S5 support water washing, and can also reduce the cost of consumable replacement to a certain extent. Summary: Although the design is basically the same for the most products, this comparison reveals that there are obvious differences in the details of different sweeping robots. As we said, these robot vacuum cleaners support path planning. It’s naïve to say this is one of the most important features of any robot vacuum cleaner because it can be considered as the core parameter when evaluating the efficiency of the cleaning. To test this feature, we took a room with 15 square meters. In addition to common sofas, coffee tables, thick carpets, bar stools, and other obstacles, we also set a barrier between the two chairs through the power cord of the patch panel. This will help not only to test the cleaners’ anti-winding ability but also to test the path planning ability in a relatively complex environment. From the actual test results, the cleaning paths of the five sweeping robots have obvious differences, and the time consumption is also different. The path planning ability can be seen from the sketch below. The Roborock Sweep One divides the room into two areas. The first is to clean the sofa and the coffee table area. After cleaning, it enters the relatively complicated bar chair area. The wire winding on the ground does not pose too much threat to it. However, there was a slight repetitive cleaning. The entire cleaning process lasted 16 minutes and 58 seconds, which was the shortest time among the five. The Pusangnik LDS M6 basically divides the entire room into three areas. It showed good anti-winding ability, and it took only 17 minutes and 22 seconds to complete the entire cleaning task. Due to the wide body and roller brush, the cleaning path of the Neato D3s looks sparse and has nothing to do with path planning. In general, it also divides the room into two areas. When entering the bar chair area, the wire interferes with it a lot. The time of getting out of trouble is quite long. It took 21 minutes and 26 seconds to clean the room, but there is no obvious repetition of cleaning or sweeping the area. So the overall performance is not bad. The path planning of 360 S5 is similar to that of the Roborock Sweep One. First, the sofa and coffee table area is cleaned. The overall performance is very good. After entering the bar chair area, there occurred some chaos, mainly due to the interference of the ground wire. The final time is 21 minutes and 22 seconds. The path planning logic of Cobos DN33 is somewhat elusive. After starting cleaning, it has been going around in circles in the room. It started cleaning from the bar chair to the TV cabinet. This is not logical because the wire is in the bar chair area. That’s why it has been repeating for numerous times. As a result, the cleaning took 24 minutes and 20 seconds. Summary: Although all models adopt the laser navigation technology, the path planning abilities of the five sweeping robots are inconsistent. After the test described above, we see some of them do the cleaning longer because of sub-optimal cleaning routs. Moreover, we can see that though laser navigation technology is used, the difference of the planning algorithm will have a great impact on the final cleaning result. To test the cleaning ability of each robot vacuum cleaner, we added melon seeds (30 pieces), soybeans (30 pieces), paper pieces (6 pieces), and flour on the ground to simulate garbage. The melon seeds scattered on the carpet are very long. The flour next to the TV cabinet mainly tests their edge cleaning ability. The flour on the sofa legs is used to check the fineness of the cleaning. During the test, all five robot vacuum cleaners were in maximum suction mode. From the results, we can see the Neato D3s has the best cleaning ability. Although there are more papers left, the seeds and soybeans are completely cleaned. We have to mention the cleaning ability of the Roborock Sweep One is almost identical to it. The remaining garbage of the Pusangnik LDS M6 and 360 S5 is slightly more. The Cobos DN33 and 360 S5 can sweep the flour very cleanly. Although the side brush of the Pusangnik LDS M6 has already swept most of the inner flour, they did not take them completely. The side brush of the Roborock S50 does not touch the flour on the inside of the TV cabinet, and there is more residual flour on the floor. For the Neato D3s without a side brush, it is completely out of the advantage in this comparison. Summary: From the above test results, the level of cleaning ability and its suction size are not directly related. Look, they have a suction power of 2000Pa, but the cleaning abilities of the Roborock Sweep One and 360 S5 stand out. The cleaning ability of the Roborock Sweep One, 360 S5, and Pusangnik LDS M6 are quite different for corners cleaning. Before we start reviewing this feature of the five models, you should know they all can be turned on/off through the physical button the body. But they support app control, which allows the robot vacuum cleaners not only to map the cleaning area but also set restricted areas on the maps. In fact, the aforementioned is one of the most attractive features. But there are others as well. In addition to the map visualization, the apps offer virtual wall, the cleaning areas, and the sweeping of the breakpoints. The functions of the Roborock Sweep One and Cobos’ model are similar. Although the map drawn by the Pusangnik LDS M6 is not high-precision, it also has the function of cleaning and marking where to sweep. The Neato D3s’ app interface is very simple and prominent. There is a function to ban the crossing line. According to the clean map drawn after cleaning, the sweeping robot can avoid entering the bathroom, kitchen, and other areas. But it has a real disadvantage of occasional disconnection. From the practical point of view, the virtual wall and scheduling are used more frequently. Except for the Pusangnik LDS M6, the other four models support virtual wall feature, but it is not excluded to increase the function through a firmware upgrade. Honestly, it is not recommended to rely on software exclusion zones and virtual walls to isolate dangerous areas. Although the emergence of navigation technology makes the robot vacuum cleaners truly smart, the models with path planning have gradually become mainstream in the market. But as you understand not all smart robot cleaners are so. We mean their cleaning abilities are different. It was best illustrated by the above comparison. The Roborock Sweep One provides a very stable cleaning performance. Especially in the path planning test, the cleaning task is completed in the shortest time; the cleaning ability is from the upper middle level, the suction power of 2000Pa has no effort to deal with the common garbage, but the edge cleaning ability is not impressive. The Roborock S50 pays great attention to the design elements, such as providing a waterproof pad to prevent the water tank from seeping into the floor, the side brush, roller brush, and other parts are also treated to prevent hair entanglement and reduce the use maintenance costs. On the whole, the Roborock S50 is a highly recommended model. If there are no obstacles, the 360 S5’s path planning performance should be excellent. The reality is that the ground wire does pose a threat to it, and it will cause a repeated cleaning. Moreover, though it has a 2000Pa suction power, its advantages were not seen during the tests. But as this is a relatively cheap model, it can be a good choice for those who want to own a good but cost-effective robot vacuum cleaner for the first time. The path planning ability of the Pusinnik LDS M6 is at the upper-middle level. Especially in the case of obstacle interference, there is no serious repetition or missed sweeping. The cleaning ability is better, and the cleaning of the corners is more detailed. When taking into account these three features, it’s the best model. But there were some problems with the complete cleaning, and it doesn’t reach the nominal 2150Pa suction power. Overall, this is a relatively balanced product. The Neato D3s’ path planning ability is at a high level, but it is also affected by ground obstacles. Even if the specific suction power is not specified, the ground garbage can be cleaned very well, especially due to the long roller brush. Its sweeping ability is excellent, but the unique D-body and brushless design make it a battle to clean up the corners. It’s also the most expensive among the five robot vacuum cleaners. The Cobos DN33 has a certain relationship with the design of the laser head protection shell because the power line card is trapped in it. At the same time, the existence of the obstacles has a large interference to the path planning, and the repeated cleaning is more obvious. 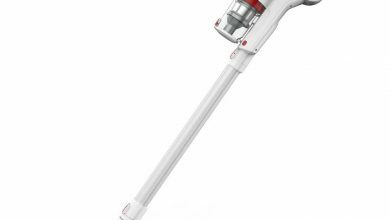 From the point of view of actual cleaning ability, although the nominal suction is only 1000Pa, the overall performance is the best among these models.